Homemade oat flour is a great option if you want to save money on all-purpose flour that is store bought. It’s also a way to cut back on the amount of regular flour called for in many recipes. Making your own homemade oat flour also is a great way to enhance various baked goods. The flour provides a chewy and moist texture to cookies and other baked items. 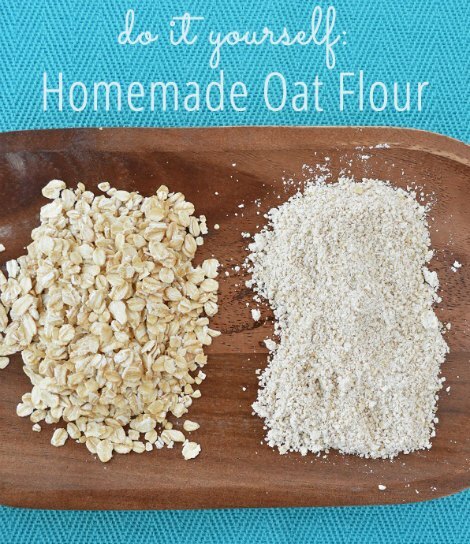 All you need to make a batch of homemade oat flour is a supply of rolled oats. You can find rolled oats at many supermarkets and an assortment of grocery stores. Organic rolled oats are a better option to create homemade oat flour, but this is not necessary. The best way to make out flour at home is to use a blender or food processor. A bit of time and a suitable container is all that is needed to make homemade oat flour. A metal or plastic container may be used for the oat flour you have prepared. You can even use the container that your oat came in.